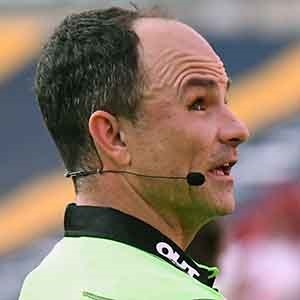 Cape Town - Jaco Peyper will referee his third Currie Cup final in six seasons on Saturday when the Sharks host Western Province at Kings Park in Durban on Saturday. Saturday’s final will also mark back-to-back Currie Cup final appointments for the 37-year-old Peyper, as he took charge of the season finale between the Free State Cheetahs and Blue Bulls in Bloemfontein last year. Interestingly, Saturday’s match will be a repeat of his first final, which was also in Durban in 2012, while it will also mark his 41st Currie Cup match since his debut appointment in 2008, in a match between the Valke and Boland. Stephan Geldenhuys will take charge of the SA Rugby Under-21 final between the Blue Bulls and Western Province at 13:00, while Vusi Msibi will hold the whistle in the SA Rugby Under-19 final between the Golden Lions and Free State Cheetahs at 11:00. Both matches are curtain-raisers to the Currie Cup final. Cwengile Jadezweni, meanwhile, will be the man in the middle in Gold Cup final between False Bay and College Rovers at the Phillip Herbstein Field in Cape Town on Saturday, while Marius van der Westhuizen will referee the Currie Cup promotion-relegation match between Griquas and the Griffons in Kimberley on Friday evening at 18:30. Peyper will be assisted by Egon Seconds and AJ Jacobs in the Currie Cup final, with Marius Jonker being tasked with the Television Match Official (TMO) duties, while Archie Sehlako and Ruhan Meiring have been named the assistant referees for the Under-21 and Under-19 finals, with Christie du Preez and Willie Vos on TMO duty, respectively. In the Gold Cup final, Aimee Barrett-Theron, who officiated the SA Rugby Under-20 final last week, and Paul Mente have been appointed the assistant referees, while Rasta Rasivhenge and Ben Crouse will assist Van der Westhuizen in the promotion-relegation clash with Pro Legoete tasked with the TMO responsibilities.